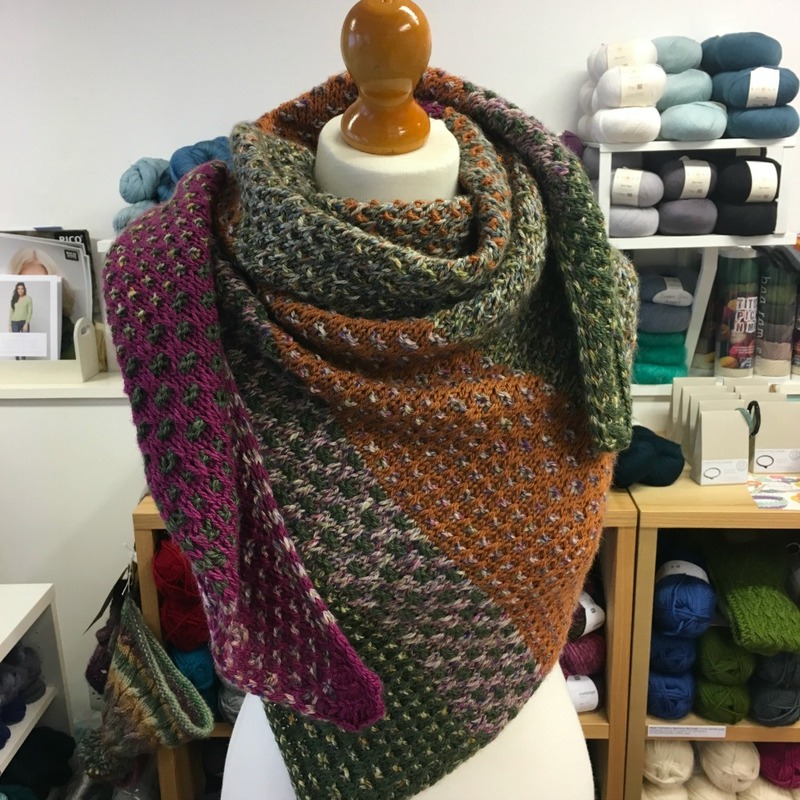 The Woolly Brew: Nightshift wrap in the shop! Nightshift wrap in the shop! New shop sample in West Yorkshire Spinners Croft yarn. This aran thickness yarn comes in Tweed (multi coloured tweedy effect) and Colours (a solid colour). It's 100% shetland wool. You can see the shades here and here! The pattern is Nightshift by Andrea Mowry and you can buy it on Ravelry (and in the shop through Ravelry). 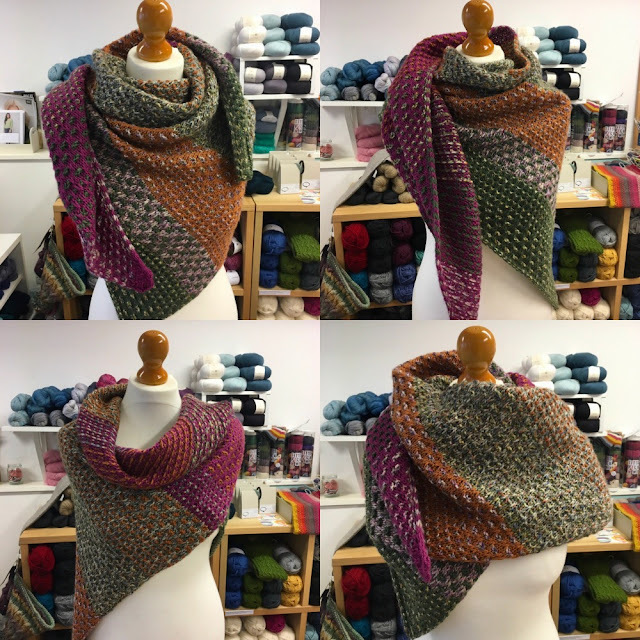 It's a large triangle shaped shawl - given the heavyweight yarn and the slip stitch effect this is a chunky shawl but with lots of drape. You can see our notes on our Ravelry project page - including yarn usage and colour combos. The pattern is a great stash buster and Andrea provides a 'recipe' for you to make up your own colour combos.